!!!!! Please note, this is a MEASURE AND CUT PATTERN meaning all pattern pieces are cut using cutting mat, rotary cutter, and ruler. 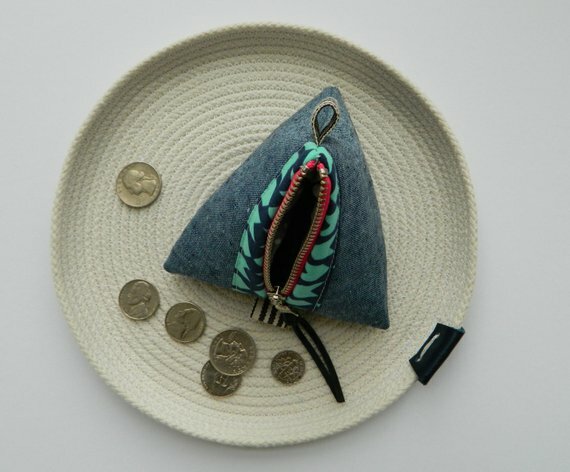 No templates are needed to make this pouch !!!!! 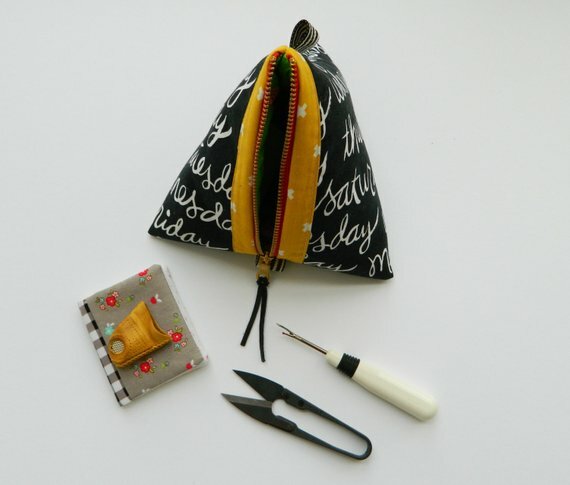 Create your own super fun triangle zipper pouch using this PDF pattern. You will receive 10 pages of clear, easy to follow step by step instructions and color photos to make this pouch in two sizes. 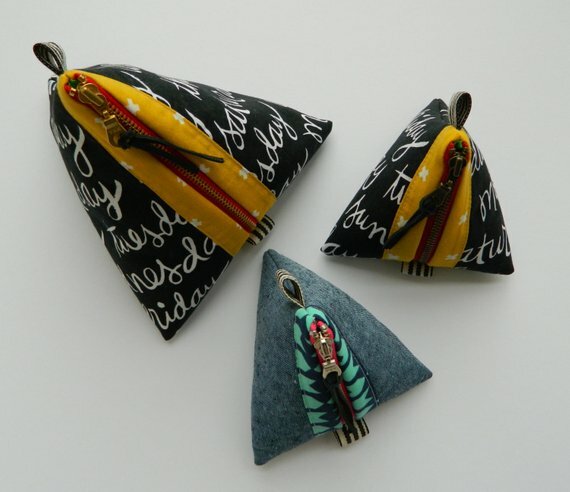 Small size uses a 4" zipper and is perfect for a coin pouch. Larger pouch uses a 6" zipper and it's just the right size to keep some hand sewing or other craft supplies of choice in.